46 pages in color, includes all items such as furniture kits, the Module Box, dolls houses, wallpaper, lamps, electrical accessories and much more. It also includes all of the building elements, such as windows, doors, staircases, banister components, roof shingles, door fittings, floors, etc. The fastest way to shop! Anniversary catalogue 2019 - 40 years Mini Mundus! 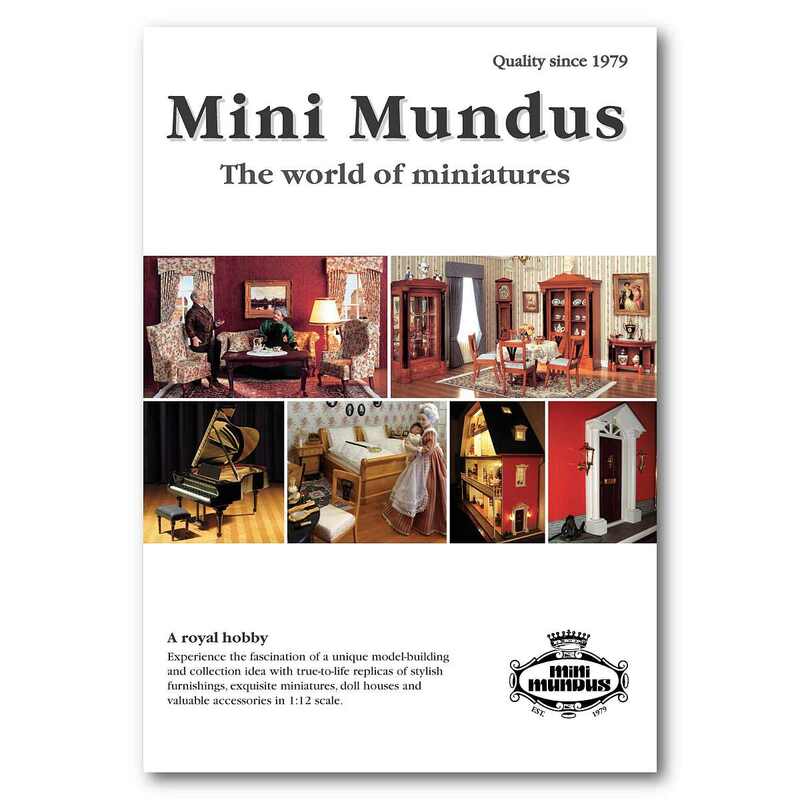 The new Mini Mundus catalogue contains all articles such as dollhouses, furniture, miniatures, excluive porcelain and bending dolls, lamps, wallpapers, wooden floors, carpets, tiles, all building elements, such as windows, doors, staircases and much, much more! The catalogue in ENGLISH (= abridged version of 46 pages) can be found HERE.